While Barack Obama keeps his hand extended to talk Iran into scaling back its nuclear ambitions, Tehran is urging Mohamed Morsi to set up an Islamic theocracy in Egypt. Some 17 Iranian Establishment figures have formally offered to help the Egyptian president duplicate the Islamic Republic of Iran’s system of governance in his country. Their written offer, penned in Arabic, was made public today by Iranian news agency Fars. The 17 Iranian scholars, ulema and politicians include former Foreign Minister Ali Akbar Velayati, currently the senior advisor on International Affairs to Supreme Leader Ali Khamenei; former parliament speaker Gholam-Ali Haddad-Adel, notable Shiite figure Ayatollah Seyyed Mostafa Mohaqiq Damad, and Farhad Rahbar, chancellor of the University of Tehran. We witnessed the Iranian people successes ensuing from the Islamic Revolution’s victory under the late Imam Khomeini. We also witnessed the experiences Iran gained in its bitter struggles against Zionism and World Arrogance in the 34 years since the Islamic Revolution. The developed world’s material successes have been innumerable, but it still faces countless crises for straying from the veracity of Islam. The West is now rediscovering the centrality of religion and the importance of upholding its role and values in society. The principles of Islam are a reference point to all problems whether at national or international levels. Faith and belief in divine power allow humans to be successful and happy in life and in their afterlife. Any system of governance that formulates its policies, builds its institutions and devises its plans under divine guardianship is bound to succeed. 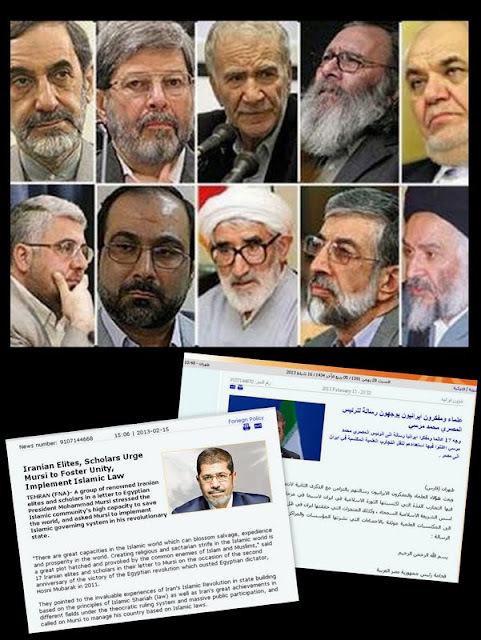 The Islamic Republic of Iran set forth on the basis of the centrality of Islam and its permeation of all government organs and affairs of its executive, legislative and judicial branches. The Islamic Republic of Iran’s system of governance was put to a referendum in April 1979, when a 99.2% majority approved it. Seven months later, an overwhelming majority endorsed the ensuing constitution. The Iranian people have not looked back in the 34 years since. They struggled against World Arrogance and Islam’s enemies, maintained their independence from Western and Eastern powers and supported the downtrodden all-over the world, chiefly the oppressed Palestinian people. Iran’s political, economic, cultural and building accomplishments have been spectacular. Despite the eight-year (1980-1988) war (with Iraq) and economic and political sanctions, Iran has eradicated poverty in its urban and rural areas and made impressive scientific and hi-tech advances. It stayed the course throughout – first under the late Imam Khomeini and now under Ayatollah Ali Khamenei. Official statistics -- by UNESCO on the eradication of illiteracy, by Science-Metrix on trade volume and science and technology productivity, and by UNIDO (United Nations Industrial Development Organization) on industrial development -- attest to Iran’s sensational progress. Iranian scholars, ulema and scientists reiterate their readiness to put the wealth of their knowledge and expertise at the service of your esteemed government and the honorable Muslim people of Egypt. In light of the aforesaid, we urge Your Excellency -- as a wise doctrinaire at the helm of a country proud of its past and glorious Islamic civilization – to make Islam the underlying bedrock of running your state affairs. Obama has been trying to make diplomatic headway with Iran over its nuclear program for ages. The result has been a more defiant Iran. Khoury suspects Washington and Tehran have been playacting all along. “It is in America’s vital interest to keep the Iranian scarecrow in the Gulf and the region,” Khoury writes. Proof is a recent congressional report showing that weapons sales by the United States tripled in 2011 to a record high, driven by major arms sales to Gulf Arab allies concerned about Iran’s regional ambitions.